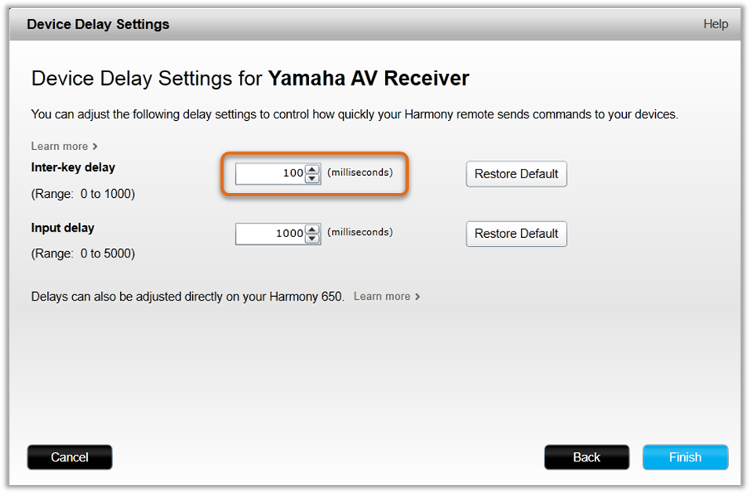 Inter-key delay is the amount of time Harmony waits between sending commands to a device. 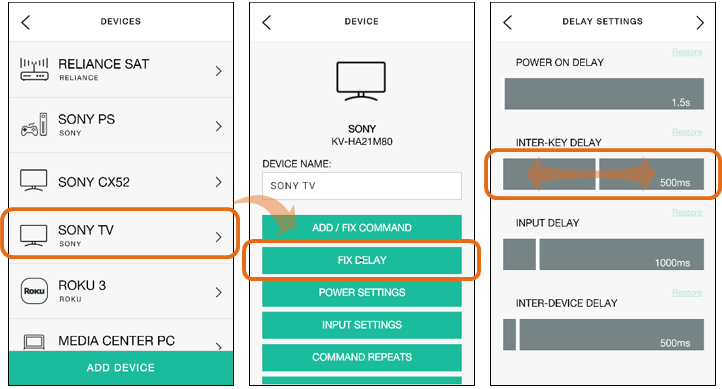 Too short a delay and your device might ignore some of the commands. Increase the value to lengthen the time between Harmony sending commands (e.g. missing numbers when changing channels). 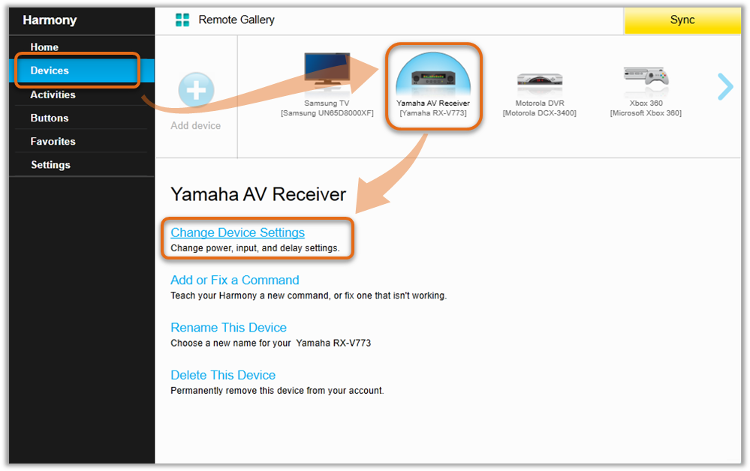 Decrease the value if your Harmony remote sends commands too slowly (e.g. the channel changes before receiving all numbers). Use the slider to adjust the inter-key delay. Adjust the Inter-key delay value in milliseconds.